This is my innovative special recipe Dates Dryfruit ladoo. This Dates dry fruit laddoos are instantly made and very healthy full of nutritions no oil and Ghee is used in it. No Calories and extra fat. It is very instant and easy to make at home and keep it Air Tight box for 15 days. We Sindhi foodies always make some special twist in our all Recipes. It is easy to make and serves. 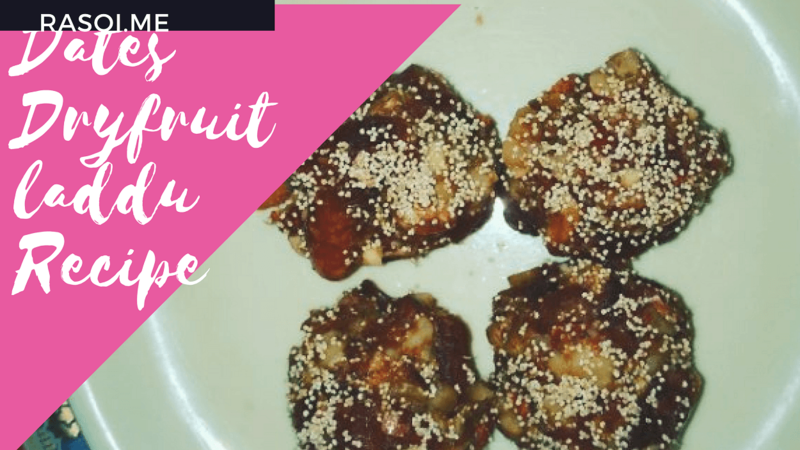 Healthy Dates dry fruit laddu you can make in 10 minutes. Watch this recipe and subscribe our channel and share with your friends and family. STEP 1- Take 1 bowl and wash all dates in water clean it properly. After cleaning the dates/ Khajur cut with the knife in small pieces. Crush all the Dates / khajur with hands. STEP 2-All dry fruits we take chopped or cut with knife in small pieces and mix all dry fruits almonds, walnuts, poppy seeds in the bowl of dates/ khajur. STEP 3- All mixture is ready than mix it with hands and take small quantity in hands and make small balls in round shape form of ladoos. These all balls are ready then sprinkle poppy seeds and Ready to serve Dates Dry Fruit Ladoos. We can store this in airtight box 15 days minimum. No Replies to "Dates Dryfruit Laddu/ khajur Dryfruit Laddu Recipe"